Twice each year, the Strand offers free movie screenings as a thank you to our Members! Any person who becomes a Strand Theatre Member prior to this screening is invited to attend -- Memberships will also be available to purchase at the door. Strand Members should present their membership cards at the door to receive ticket(s) for admission and a coupon for a free popcorn and fountain drink. Friend and Fan levels receive one free admission; Supporter, Sustainer, Patron, Benefactor, Star, and Superstar levels receive two admissions. No regular admission tickets will be available for this show. Information about the Strand Membership program is available on the Strand Theatre website, by calling 207-701-5053 or by emailing jripley@rocklandstrand.com. Mid-coast Maine's Queen/King of Comedy to be crowned in June 10 contest! On Friday, June 10, competitors in the first-ever St(r)and-Up Comedy Showcase will each have 5-10 minutes on stage to perform their original comedy routine. The winner will be chosen by audience popular vote. Comedian Earl David Reed will emcee the evening and perform a full set of comedy. Earl David Reed is known for his dynamic presence, hard-driving wit, and hilarious improvisational style -- skillfully interacting with audiences of all kinds. 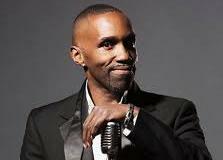 A stand up comedian for 15 years, he has performed at over 100 comedy clubs and colleges and is a favorite in Las Vegas and Atlantic City. The Las Vegas Review-Journal has called him “ …an urban Don Rickles!” And Don Rickles himself commented “This guy works the room like a Las Vegas showgirl…funny without being offensive.” His TV credits include The Tonight Show with Jay Leno, HBO, Showtime, FOX’s Comic Strip Live, A&E’s Comedy on the Road, and NBC’s Friday Night Videos. Earl can also be seen on DVD as one of Bill Engvall’s All-Stars of Country Comedy comedians with Larry the Cable Guy and Jeff Foxworthy. Do not miss this hilarious show!! In this romantic comedy set in Farmington, Maine, the grieving widow (Rebecca Hall) of a singer-songwriter clashes with an acerbic journalist (Jason Sudeikis) who arrives in her small town announcing he's writing a biography about her late husband and his mysterious death. What begins as a clash of wills evolves into something more profound, as the journalist's presence helps her make peace with her husband's passing. Director Sean Mewshaw and screenwriter Desi Van Til will be present for Q&A! SHAKESPEARE DAY on February 17 includes live stage events for all ages! 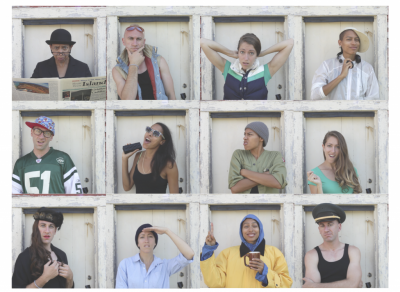 Don't miss SHAKESPEARE DAY presented by the Barn Arts Collective! And a live stage production for all ages! This family-friendly performance brings the story and characters to life with energy and creativity as four actors play thirteen roles in a 90-minute production. The show features countless quick changes, original music, a pirate, a pop star, several dance parties and one big practical joke. 12th Night! played to packed houses at The Barn in Bass Harbor on Mount Desert Island during its premiere in August and has since been remounted for audiences of students and members of the public on MDI. It plays in Rockland for one night only. The Barn Arts Collective (formerly the Mohawk Arts Collective) is a group of artists that create and encourage community through the practice and presentation of live arts events. Based out of The Barn, a performance and rehearsal space in Bass Harbor, Maine, the organization creates new works of performance (theater, music, dance, film), provides residencies for artists making new work, hosts and performs at community events, partners with local non-profit organizations to offer arts and educational programs, and develops and leads workshops for young people in the community. 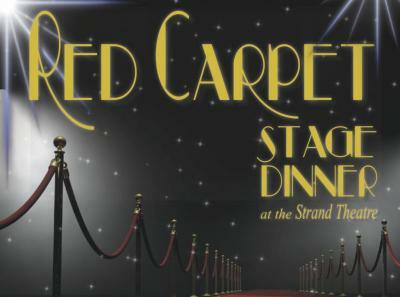 First-Ever RED CARPET STAGE DINNER at the Strand on January 21! Friends of the Strand Theatre and Cafe Miranda will present the first ever “Red Carpet Stage Dinner” at the Strand Theatre on Thursday, January 21 at 5:30pm. Proceeds from this one-of-a-kind dining experience will benefit the Strand’s presentation of free community programming in 2016. While many people have attended stage and screen presentations at the Strand, this is an opportunity to experience the theater in an entirely different way; attendees will dine seated on the stage and enjoy the view of the Strand’s beautifully restored interior from a whole new perspective—the view usually reserved for performing artists. Food and flair will be provided by Café Miranda, and wines will be provided by Cellardoor Winery. Sponsorship support from Bangor Savings Bank has made it possible for all ticket proceeds to be used for the Strand’s free-admission community programs. In 2015, the Strand’s free programs included family-friendly school vacation week presentations, Earth Day programs, free movies for Rockland Days, a Mother’s Day Variety show, and the annual Christmas movie. In 2016 the Strand plans to expand their community programming beginning with the free screening of THE CHILDREN'S MARCH, 1pm, Monday, January 18, in celebration of Martin Luther King Jr. Day. According to the Strand Theatre’s Executive Director Jessie Davis, "The Strand's presentation of free community programs really represents the heart of our mission as an organization--to be able to provide entertainment that is enlightening, educational, and fun; and to open our doors wider and wider to welcome everyone in as we grow the Strand into being ‘the community's theater.’ This dinner will be a fun way to kick off a great year, and we are so grateful to our presenting partners, and Bangor Savings, for joining in to help us do this good work here in midcoast Maine." Cocktail hour begins at 5:30pm in the Strand lobby. Tickets are $150 per person and are available through the Strand’s business office: 207-701-5053 or info@rocklandstrand.com. Seating is limited, so early ticket reservations are recommended. 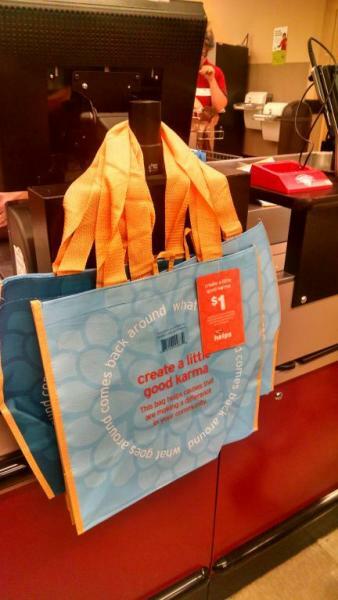 Good Karma Grocery Bags from Hannaford Help the Strand! The Strand Theatre was recently selected as a beneficiary of the “Hannaford Helps” Reusable Bag Program featuring their bright blue bag! For every blue “Good Karma” Reusable Bag purchased at the Rockland Hannaford, 75 Maverick Street, the Friends of the Strand Theatre will receive a $1 donation in order to help fulfill their mission to serve as a gathering place for educational and cultural enrichment in midcoast Maine, as an anchor for Rockland vibrant downtown community, and as a hometown institution of entertainment for all. The Good Karma bags will be available through December 31, 2015. The Strand Theatre depends on revenue from their Membership program, sponsorships, and donations to supplement the income derived from ticket and concessions sales.